How did Cookie feel about trashing Lucious' office? That was addressed on Empire Season 3 Episode 11 when she focused her efforts on moving on with Angelo before she was consumed by the darkness. Meanwhile, Leah decided it was time to take Anika out of the equation and turned to Tariq for help, but did she reveal Anika killed Rhonda? Also, Jamal and Tory hit the studio, but how did Cookie feel about it? 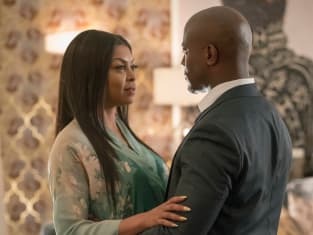 Empire Photos from "Play On"
Use the video above to watch Empire online to get caught up on the latest drama for the characters.